The text below is a rough translation of an article that was published in Dutch by the author in the Belgian newspaper ‘Het Laatste Nieuws’. Of the executioners that Hashim has seen, at least one is a Belgian: Tarik Jadaoun from Verviers. Hashim knows him by his kunya ‘Abu Hamza al-Belgiki’ and has written down about him: “Participated in the execution of three people convicted for apostasy on the 7th of July 2015 near Bab al-Tub.” The execution happened with gunfire and Hashim knows even the names of victims: “Jihad Fadhil, Lu’ay Abdulwahid and Muhialdin Ilyas.” The identification of Jadaoun is not merely based on his kunya — Hashim also recognized him on photos we’ve sent. “His face, I will never forget. I was terrified for him. The first that I saw him, was in a tea house near Mosul university. He was Moroccan dressed and spoke French. He was working at the university, where he served as guardian for the Diwan al-Ta’lim, the IS department that made new school books there.” When the university was liberated, it became clear that those school books educated children of Mosul in maths by counting tanks, pistols and bullets. Jadaoun is one the terrorists for whom the French authorities recently warned, thinking that they may have returned to stage an attack. 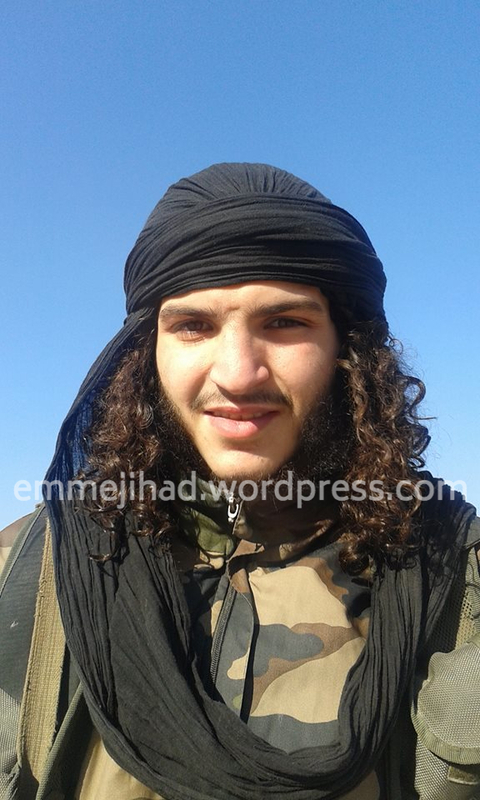 Last week, he featured in a brand new propaganda video of IS, and Hashim knows where he was filmed. “It must have been in the West of Mosul, near the Nuri mosque”, he says. It is difficult however to establish when the footage was made — and thus to know whether Jadaoun is still in Mosul. 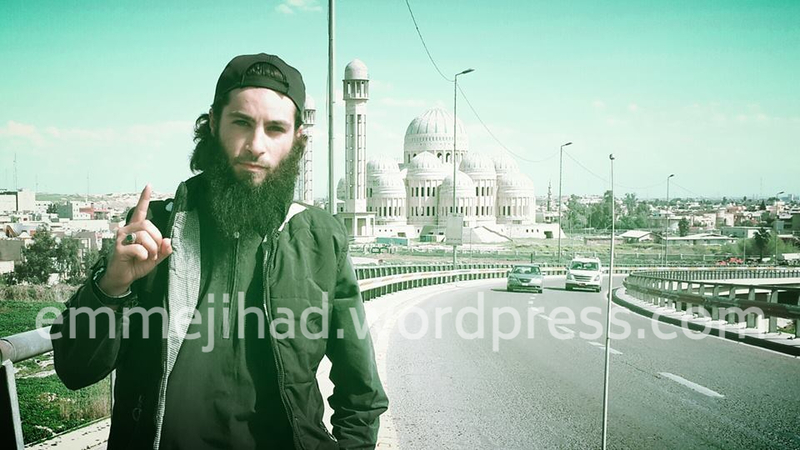 We did send Hashim a lot of other pictures of Belgians who have joined IS — and he is sure that he has seen three others in Mosul. 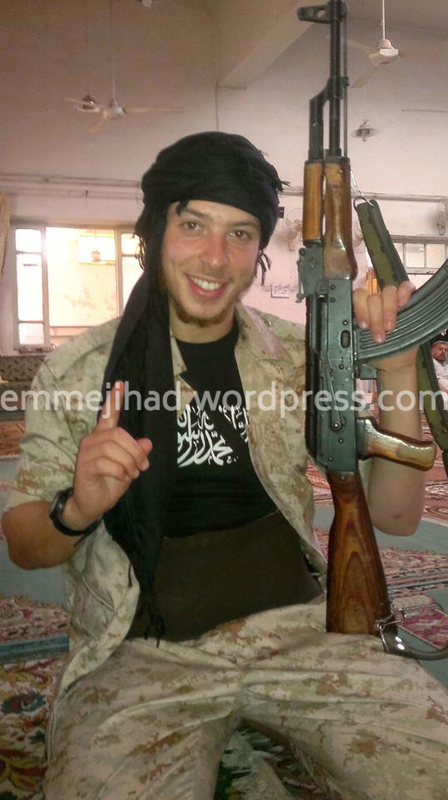 “This one also worked as a guardian and was often patrolling in front of Mosul’s central bank”, Hashim says about Azeddine Kbir Bounekoub, a Shariah4Belgium recruit from Oostmalle who has left in 2012. He repeatedly called for attacks in the West, and also threatened the Belgian Defense secretary in an audio message. But he doesn’t seem to have become an important figure within IS. “In Mosul, he was a low-ranking fighter”, says Hashim. “But as a Westerner, he still was better off than most of the locals were. Westerners were better paid and it was considered as a honour when a they wanted to marry with the sister or the daughter of a local fighter. It wasn’t hard for Westerners to chose their brides. But they also were distrusted to a certain extent — both by local fighters and the leaders of IS. The latter gave the Westerners the most luxurious places to stay. But by putting them apart, they also made it easier to keep an eye on them.” The Western fighters were staying in a former tourist complex in Northeast Mosul. 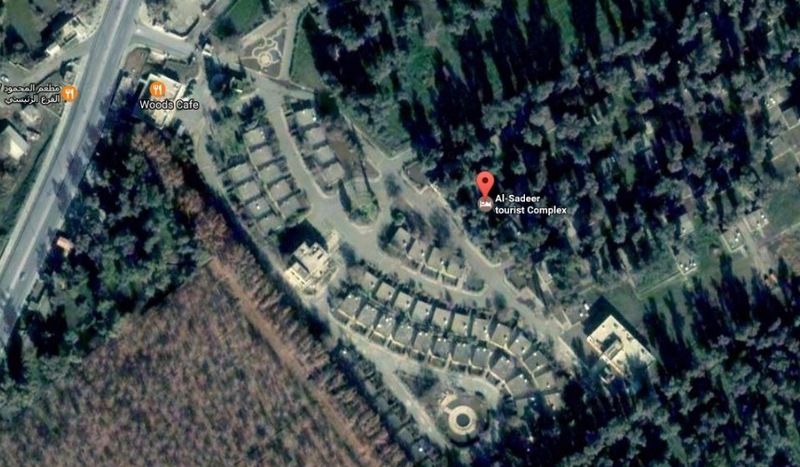 “It is known as al-Sadeer and prior to IS it was often used for marriages and parties”, Hashim says. Pictures of the location show well-furnished bungalows, each equipped with airconditioning. The other two Belgian fighters who Hashim has recognized, are Azzedine El Khadaabia from Brussels and Redwane Hajaoui from Verviers. Both of them were also named already in possible terrorist plots, reinforcing the suspicion that IS has organized its plots against the West from within Mosul. Last year, we revealed how a former IS member told us that Tarik Jadaoun was groomed as “a new Abdelhamid Abaaoud” — referring to the terrorist from Molenbeek who acted as a coordinator for the Paris attacks. In August, we also wrote about a Belgian fighter ready to commit a suicide attack, his final message videotaped already. That guy was El Khadaabia. 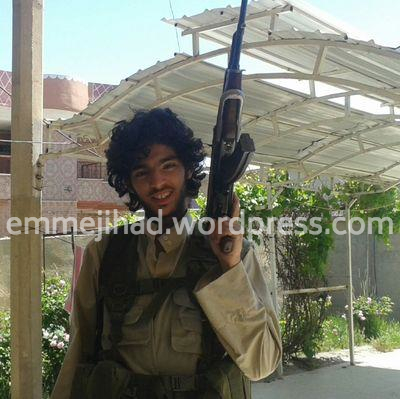 “He was still alive and present in Mosul in November of last year”, Hashim now says.